The 2018 Nissan Altima is a fantastic selection for a range of buyers. The Altima is a versatile midsize sedan known for its comfort (especially its seats!) and value. 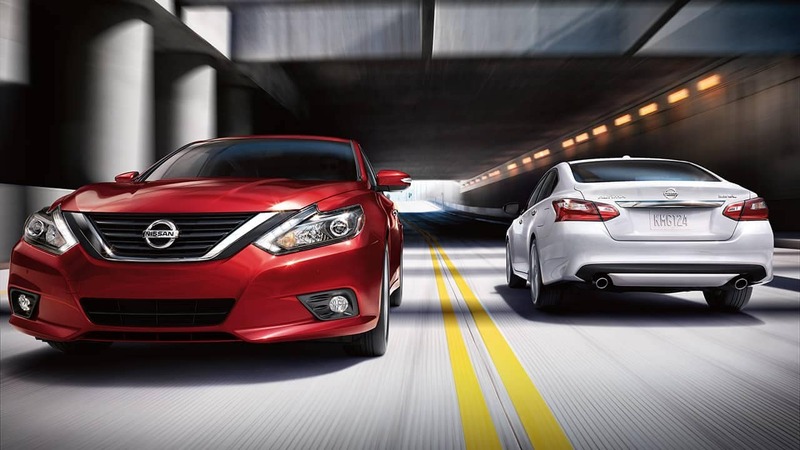 Read up on all the recent changes, trim levels, and engine options in the latest Nissan Altima! What changes were made to the 2018 Nissan Altima? The 2018 Nissan Altima has a few changes in store for the model year that place more value in the hands of buyers than ever before. The Altima takes a stand for safety by making some of the most advanced safety technology standard for all the models: advanced Automatic Emergency Braking and Intelligent Forward Collision Warning. Altima 3.5 SL models also include Intelligent Cruise Control as standard equipment, as well as an upgraded version of NissanConnectSM with Navigation and Services with Apple CarPlay and Android Auto. Similarly, all Altima models that feature an available 7-inch touchscreen also gain Apple CarPlay and Android Auto, which are the most advanced smartphone integration software available to date. Two models, the previous years’ base model 2.5 and 3.5 SR, have been removed from the lineup, simplifying offerings to five fantastic trim levels. Packages have been shuffled and revised for 2018 as well, with each model offering one extensive package. What features are available for the 2018 Nissan Altima? The Nissan Altima of 2018 is now available in five trim levels: 2.5 S, 2.5 SR, 2.5 SV, 2.5 SL, and 3.5 SL. The 2.5 S model, the new base model for the lineup, includes standard features such as keyless entry and ignition, 16-inch steel wheels with plastic covers, a height-adjustable driver seat, a rearview camera, Bluetooth, a 5-inch display screen, a USB port, a 6-speaker audio system, automatic emergency braking, and a forward collision warning system. 2.5 SR models offer standard equipment such as 18-inch alloy wheels, a sport-tuned suspension, daytime running lights, foglights, a leather-wrapped steering wheel, a rear spoiler, paddle shifters, a power-adjustable driver seat, and upgraded upholstery. 2.5 SV models build off of the 2.5 S with remote start, LED daytime running lights, dual-zone automatic climate control, foglights, a leather-wrapped steering wheel, a power-adjustable driver seat, satellite radio, 17-inch alloy wheels, and blind-spot monitoring with rear cross-traffic alert. 2.5 SL models include the standard equipment of the 2.5 SV as well as a heated steering wheel, heated front seats, a power front passenger seat, leather upholstery, LED headlights, air vents for the rear seats, a premium 9-speaker Bose audio system, and power-folding mirrors. 3.5 SL models have standard equipment such as a sunroof, 18-inch wheels, a 7-inch touchscreen, navigation, an auto-dimming rearview mirror, heated mirrors, front and rear parking sensors, paddle shifters, Apple CarPlay and Android Auto, adaptive cruise control, and NissanConnect services. What engine options are available for the 2018 Nissan Altima? The 2018 Nissan Altima is available with two impressive engine options. The first, found in all 2.5 models, is a 2.5-liter four-cylinder that distributes 179 horsepower and 177 lb-ft of torque and peaks at up to 39 miles per gallon on the highway (37 mpg in SR models). The 3.5 SL comes standard with 270 horsepower and 251 lb-ft of torque and offers up to 32 miles per gallon on the highway. The 2018 Nissan Altima is a strong selection if you’re searching for a comfortable midsize sedan with a variety of features and two powerful engines. The Altima is also known for its reputation, reliability, and resale value, making it a fantastic new car option! Contact us today to learn more about the 2018 Nissan Altima!